Whether you’re moving your home or business, renovating your property, or simply running out of storage, placing your trust in a reliable, well-secured storage facility can be a convenient and affordable way to extend your residential or commercial space. At Metropolitan Van & Storage, we’re excited to announce the opening of our newest storage facility in Fremont, California. Our brand-new, state-of-the-art storage warehouse is equipped to store all of your residential or commercial belongings, large and small—from boats and cars, to high-value items, official and classified documents, and more. Keep reading to learn about residential storage options, business storage, and how the team of professionals at Metropolitan Van & Storage can help you with your Fremont storage needs in our brand-new Fremont storage facility, or in one of our other Bay Area locations in Benicia/Martinez or Mountain View today. Short-Term Storage: Sometimes you need a few days, weeks, or even a few months to store items while renovating your home, moving to a new one, or for other reasons. Short-term storage can come in very handy for keeping your items safe and well-protected for as long as you need. Long-Term Storage: Long-term storage options are available for storing whatever you need, for as long as you need—even indefinitely. From large items like cars and boats to small family heirlooms and other smaller treasures, we have plenty of solutions available for making your long-term storage needs affordable and convenient for you. In-Transit Storage: Moving delays are common, which is why it’s important to have storage options just in case there’s a problem with timing, space issues, or other problems during the moving process. That’s why we offer storage options at either origin or destination points during a move. Commercial storage options are often required for a variety of reasons, from office relocation or renovation to temporary or long-term holding of unused equipment. While unused desks and other office furniture are often stored in our facilities, high-security areas for valuable, high-tech equipment or climatized storage space is also a necessity for many businesses, which is why we offer personalized storage services to suit your specific needs. Personalized Storage Options: Whether it’s short or long-term, we offer storage services regardless of the size and storage requirements of your company’s belongings off-site but nearby, here in our Fremont facility. Pickup and Delivery: Whether you’re sending off items to be stored, or requesting their return, you can count on us to bring your office equipment, furniture, and other items to your location whenever you need them. 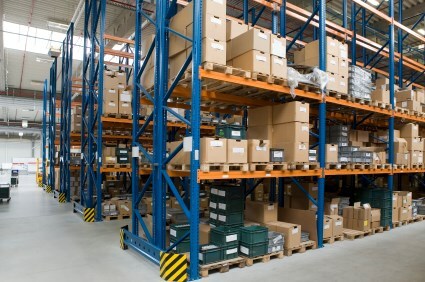 Warehousing and Distribution: Companies that have been in business for a long time, or ones that have to document everything they do may need to keep their records, but off-site. That’s why we offer warehousing services that include records management and destruction as needed. Secure Storage Facilities: The security of your belongings is our top priority. To make sure your items are safe and sound, our Fremont storage facility is equipped with state-of-the-art security systems and cameras, and highly-trained personnel around-the-clock to make sure your belongings are safe and well-protected at all times. Ready to explore your storage options? Give us a call to speak with one of our agents about our residential and commercial storage services or fill out our online form to schedule your free quote. Metropolitan Van & Storage is the Bay Area and Sacramento’s premier storage facility of choice for our customers. With top-quality service, first-rate facilities, and comprehensive solutions for storage in over 265,000 square feet of space, you can trust that our team can keep your items safe and secure for as long as you need. Our moving and storage company began in the 1940’s as local movers. Since then we have only continued to grow and expand our offerings including opening our newest facility with our Fremont storage facility. We continue to grow by sticking to our values by offering honest pricing, accountability, and superior customer service every single time.